Celebrity Worldwide Chauffeured Transportation is thrilled to announce that we have been awarded 2018 Best of the Main Line and Western Suburbs – Best Limo Service. We are honored to be among the winners, and we are grateful to all our trusted clients, partners, and readers of Main Line Today for voting us. We pride ourselves in providing excellent limo service to all our valued clients, and we are pleased when our efforts are recognized. Our mission is to provide on-time service in luxurious, modern, and clean vehicles with a professional chauffeur. Our attention to detail ensures that you can sit back, relax and enjoy your ride. Celebrity Worldwide Transportation is thrilled to announce the grand opening of their new bus garage. The recent move leaves the company primed to offer maximum efficiency to groups who utilize their transportation services. The new shuttle bus - perfect for the travel needs of a small group!  Celebrity Worldwide Transportation has enlarged its fleet with the new 23 Passenger Gretch Executive Shuttle. It comes equipped with such amenities as power ports, tv monitors along with DVD and Ipod connectivity so that you can always be connected, be it for business or relaxation. Book your ride TODAY and experience first-hand what it's like to travel in style with your friends or colleagues. Celebrity Worldwide Transportation Proudly Announces the Addition of the 2017 Lincoln Continental to its Premium Fleet of New Vehicles. Celebrity was already positioned as the premium fleet leader in the Greater Philadelphia area with its exclusive line of new BMW’s and Lincolns. Now that Celebrity is the one of the first in the area to acquire the highly sought after 2017 Lincoln Continental, it further positions its service as the most premium brand in the market. Celebrity has just acquired 2 Lincoln MKT Sedans with 6 inches of Extended Legroom! These vehicles complete our Fleet Modernization Program of replacing our older vehicles with Newer and More Luxurious Sedans. Book your ride TODAY in one of our NEW vehicles!! Our New Sister Company, Celebrity Automotive has opened! We will now be able to provide our own in-house maintenance for our fleet. We have an all new state of the art facility with a full time mechanic. Benefits include cost savings, less vehicle down time and implementation of a preventative maintenance program. WE WON! 2012 Operator of the Year! February 14, 2012: LCT (Limousine Charter & Tour) Magazine has chosen Celebrity as a WINNER in the Large Operator (51+ vehicle) category. Winners were announced at the annual LCT awards banquet and show on the evening of Feb. 14 during the 2012 International LCT show to be held at the MGM Grand Hotel and Casino in Las Vegas. The 2012 LCT Operator of the Year Awards contest is the most prestigious and longest running business awards contest in the chauffeured transportation industry. CEO Dennis Adams accepted the award. "LCT Magazine's Operator of the Year is our industry's most prestigious aware. In the past, companies have been honored as finalists for many years before winning the award, so we are especially thrilled-we were selected as a winner in our inaugural entry"
"2015" 1st Qtr. NEW Vehicle! The "7th" Motor Coach Addition to Our Fleet! 2014 Temsa Motor Coach with the following amenities: 30 Passengers Black Exterior Luxury Black Leather Seating 3 Point Seat Belts Satellite Radio I-Pod Connection Wi-Fi 110v AC Outlets in Each Seat Row Rest Room Book Now for your Group Event or Special Occasion! Celebrity has just acquired 5 BMW 740iL Sedans with 6 inches of Extended Legroom! In addition we have also added 3 of the Mercedes E350 Sedans. These vehicles complete our Fleet Modernization Program of replacing our OLD Town Cars with Newer and More Luxurious Sedans. We also added additional 2015 Chevrolet Suburbans which now come equipped with a Wi-Fi Hot Spot on board. Book your ride TODAY in one of our NEW vehicles!! "2015" 3rd Qtr. NEW Vehicles ! The BMW 740 Li x received such an overwhelming response from our customers due to its very smooth ride and the generous "extended" leg room we recently added 2 more to our fleet!!! In addition to the New BMW's we also added a Mercedes Sprinter with "Limousine Style" Couch seating for 12! Our "NEW" Sprinter compliments our existing Mercedes Sprinter with Captains Chair Seating for 8. Mercedes Sprinters are new to the Limousine Industry and are Intended to be a replacements to the standard stretch limousine. Visit our "Fleet" page to view these vehicles inside and out!